LinkedIn Training Class- "Unlock The Secrets To LinkedIn Success"
The BIGGEST Give-Aways Meeting Of The Year! 2 Speakers, Networking and more! January meeting-Kick 2013 off with a BANG! Building Business & much more! FEBRUARY MEETING: HUGE MEETING! You Won't Want To Miss This One! The Power Of Email Marketing That Gets Results! 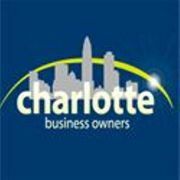 The Charlotte Business Owners is a networking group of business owners and business professionals. Our events include great informative speakers, food, elevator speeches and networking. We meet 1 to 2 times per month for lunch and sometimes for evening networking events. * At 3-5 Extra large pizza's, chicken wings, bowl of salad, egg rolls, chicken fingers and and drinks are included with the price of admission at each 1st Tuesday monthly event. This includes the TIP (so you will not have to worry about that). * Fish bowl drawings with great prizes that include a gift card from Jimmy Zuelsdorf from HF Financial, 2 spotlight give aways, and some other amazing give aways. * Membership in to ALL of the groups including Charlotte Business Owners, Charlotte Referrals, LinkedIn Charlotte, Networking In Charlotte and Charlotte New In Town networking groups of business owners and business professionals that meet 2-4 times a month. * 1 FULL year access to ALL regular (1st Wednesday) monthly meetings (No Charge). * Each monthly meeting INCLUDES food, drink and TIP. * CBO Member Two FREE Guest Tickets ($50 value) one per member per year with additonal guest ticket for each person that joins. * 75% discount on ALL referral meetings. or by phone at (704)840-4137.